DVA-WHAT ELSE COULD GO WRONG? That question must ricochet around 810 Vermin Ave. NW day in and day out. If it isn’t someone with a conscience and an ax to grind filing a Whistleblower claim, it’s some unnerving revelation that the boys in Denver have been playing fast and loose poker with the contractors of the new VAMC. Somebody saw the bet and called. 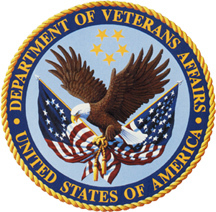 VA didn’t have the $1.6 billion owing and had to admit it publicly. Unfortunately, Rep. Miller is getting bombarded day in and day out as well with requests for more hearings on what is turning out to be a distressingly long list of dirty VA laundry. The ashes of Phoenix haven’t even cooled off yet. What gives? Secretary Call me Bob has been in the saddle for long enough to be apprised of the myriad problems and given the authority to hire and fire to fix it. He seems rather ambivalent from one day to the next about firing all the gomers or praying things settle down. Consider the lists you guys send me. All this in a week. Then the inane. Oh, God. We’re mollycoddling them. And the human interest stories on Vets. These warm my heart. Keep sending them in. This entry was posted in All about Veterans, Food for thought, Gulf War Issues, Medical News, OIG Entertainment, VA Health Care, VA Medical Mysteries Explained, vA news, VA statistics, VAOIG Watchdogs, Veterans Law and tagged ASKNOD BOOK, asknod.org, asknod@wordpress.com, Disabled Veteran, DIY vA Claims, Gulf War Claims Help, Gulf War Vets Help, HCV Veterans, HCVETS, Help with vA Claims, Korean War Vets Help, PTSD, Service Connection, VA claims, vA CLAIMS FOR PTSD, Veterans Benefits, Veterans claims help, Vietnam Veterans Claims Help.. Bookmark the permalink. 1 Response to DVA-WHAT ELSE COULD GO WRONG? Given what is about to hit the fan here in the Rocky Mtns. will of course be blamed on the fact that there were just too many joint (sic) sessions. But seriously now folks I can almost 90% assure you that before 2018 rolls around this place is gonna rock at the real upcoming scandals. Mark your calendar that this ole fart was right cause I may not be here to say yup, danged iffin he wadint rite.